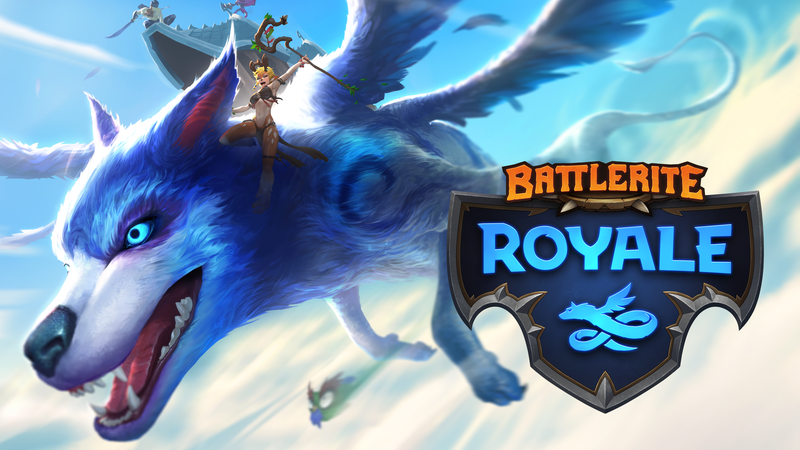 We know you’ve all been chomping on the bit for more news on Battlerite Royale since our June 29th Dev Update, when we announced that Battlerite Royale would not be arriving in July 2018. We mentioned then that we wanted to push the experience a step further after we saw the huge response from the gaming community and also the results of our internal playtesting. Today we’re announcing that Battlerite Royale will be available to purchase in Early Access on Steam at the end of September – as a new standalone game. 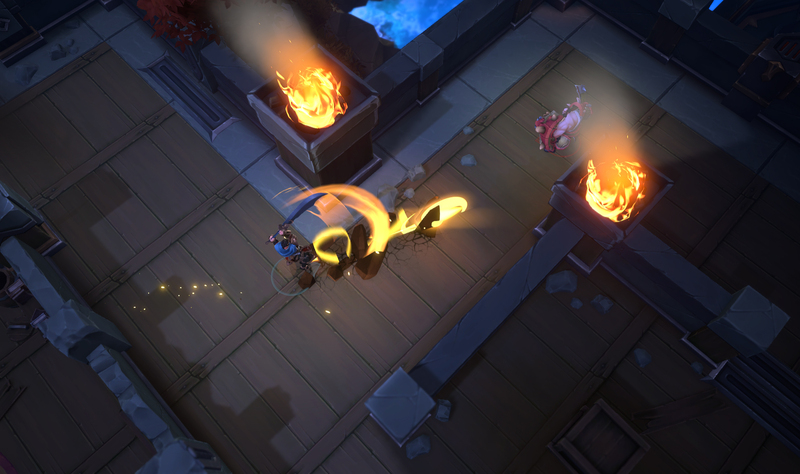 As we continued to develop Battlerite Royale we saw more and more potential in it with every passing day, but we also noticed the difficulties with keeping Royale in the same frame as a “Team Arena Brawler.” With the constraints from Arena limiting us and after seeing the huge reaction from Battlerite Royale’s announcement, we made the decision to protect the integrity of both experiences and create a new game instead of a new game mode. When the decision was made, we suddenly could do more to make the best possible Royale experience. We re-designed Champion ability kits, rebalanced stats, added new gameplay systems, and removed systems. We also had to develop new matchmaking and rating systems, create a new interface, and a separate onboarding experience. 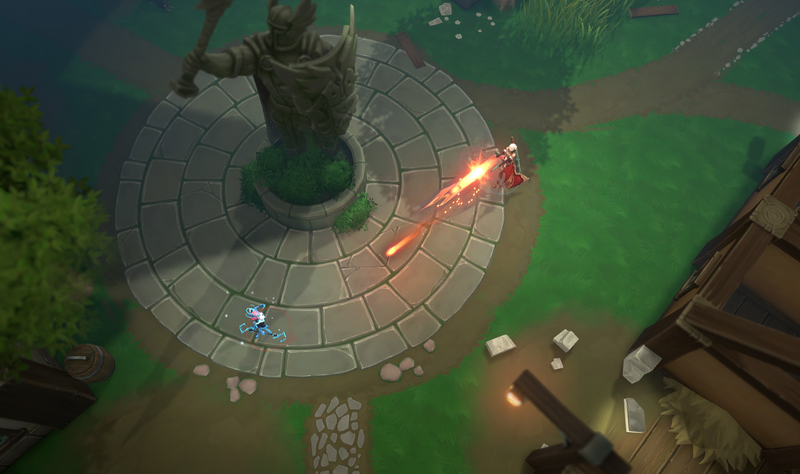 The signature Battlerite combat and input system is unchanged, though all Champions have been fully revised for Royale. Lethality needed to be increased as players need to be eliminated at a certain pace throughout the course of a match. This meant that we had to balance out defensive mechanics, in particular healing, shields, and crowd control. Tackling Support Champions has been quite challenging, as their role is to prolong and defend themselves and their allies. Exact details on these changes will be explained in more detail in a future Dev Update. Some Champions will remain relatively similar while others will have brand-new abilities. We want to stay true to the identity of each Champion while making any changes necessary to make sure all of them are fun, exciting, and balanced to play in Battlerite Royale. Today we firmly believe that we can deliver a more polished, more fun, and more exciting experience with Battlerite Royale without compromising Arena and the fine-tuned balance that we strive to perfect. It’s important for us to keep the Arena experience intact while expanding the world of Battlerite and exploring new ideas. There is still work to do before we have all the answers regarding what this means for you as a Battlerite player and we will return with more information when we have a more detailed FAQ fleshed out. What we can say today – dedicated Battlerite players will be rewarded for the time spent in Arena when entering Royale. Every hard-earned cosmetic that you’ve earned or will earn in Battlerite will be shared with your Battlerite Royale account. If you own the All Champions Pack, Battlerite Early Access, or the Ultimate Fan Pack there will be even more rewards to collect. So, what’s the plan and what’s the timeline? Well get ready for Monday, August 13th because we’re going to be revealing our roadmap for the rest of 2018. This roadmap will cover our current plans – events and new content – for BOTH Battlerite and Battlerite Royale. And there’s more, because on the same day we’ll begin signups for the Battlerite Royale closed Beta! The next months will be the most exciting time in history for Battlerite, and we’re looking forward to having you with us on this journey.